around”) and thrix, trichos “hair, spine,” an allusion to the twisted awns. An awn is the bristle arising from a spikelet part. 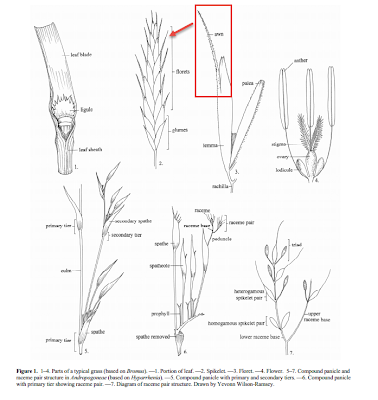 A spikelet is the basic unit of a grass inflorescence (flower). 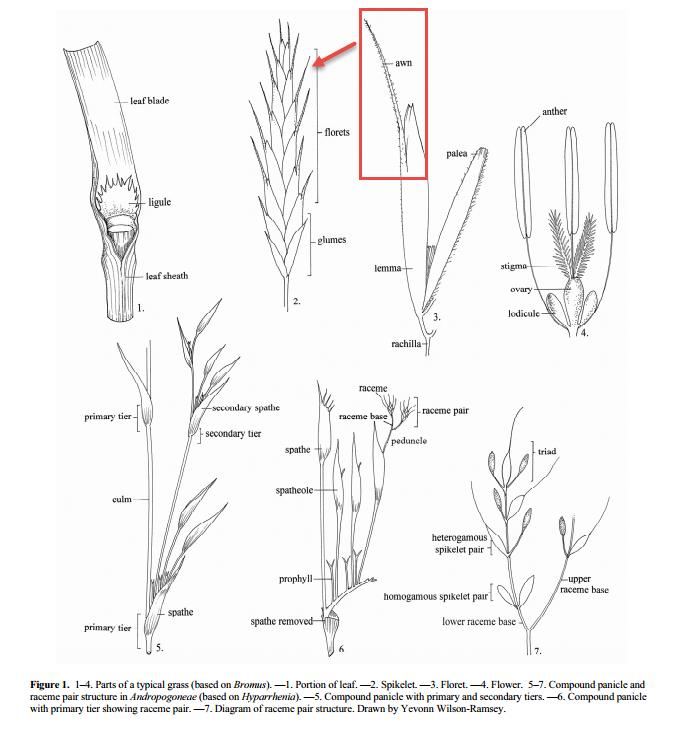 These definitions and the accompanying image of grass inflorescence parts are from Glossary of botanical terms used in the Poaceae. Grass Parts from Glossary of botanical terms used in the Poaceae.